L8 Living Sustainably: Why should we eat with the seasons? Why should we eat with the seasons? Eating food that grows each seasons makes better sense for your pocket and for your health. When produce grows in gluts the cost of these fruits and vegetables are sold more cheaply. There are also health benefits in these gluts as they contain the nutrients that our bodies need at particular parts of the year -- and they taste amazing too. 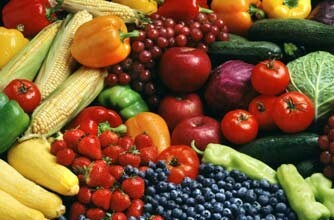 Check out the BBC Good Food Seasonal Calendar to see what fruit and veg will be in season next.